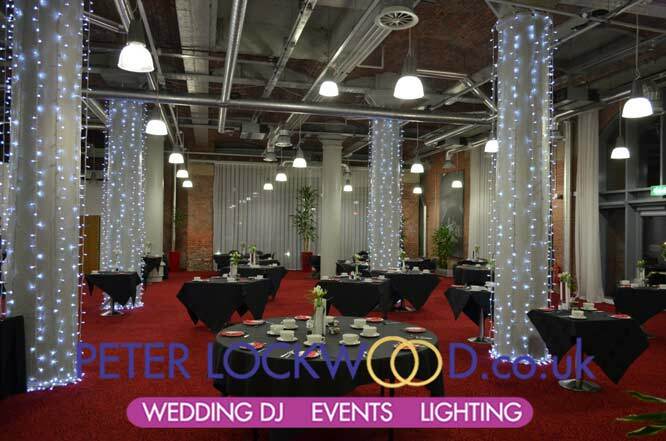 I have provided Pillar Lighting and wedding Lighting many times in the Place Hotel. 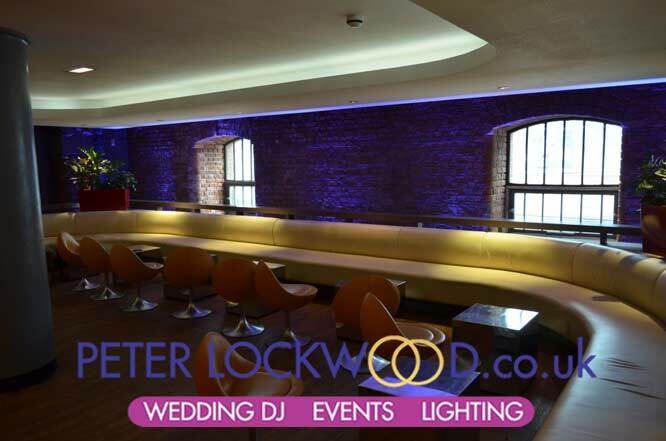 The lights bring out the best in the hotel due to the high brick walls and stunning features in the function rooms. 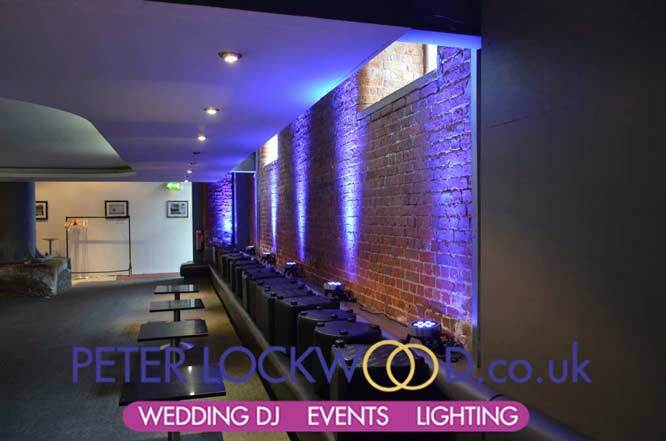 As you will see all the pictures here show purple wedding lighting, the up lighting can be provided in lots of other colours. 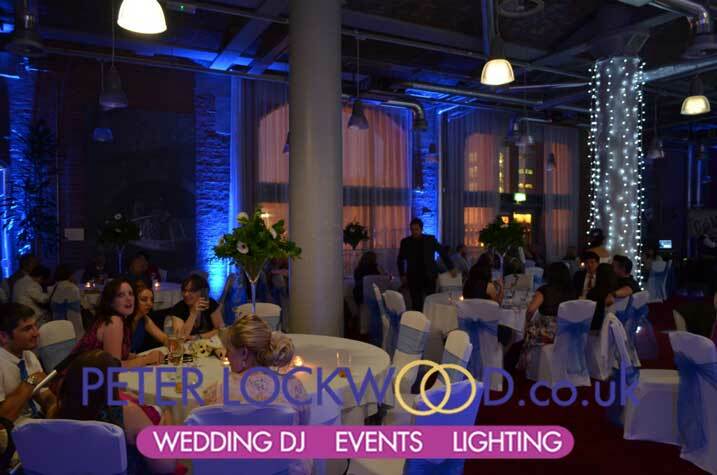 Please click on the pictures to see them full size. 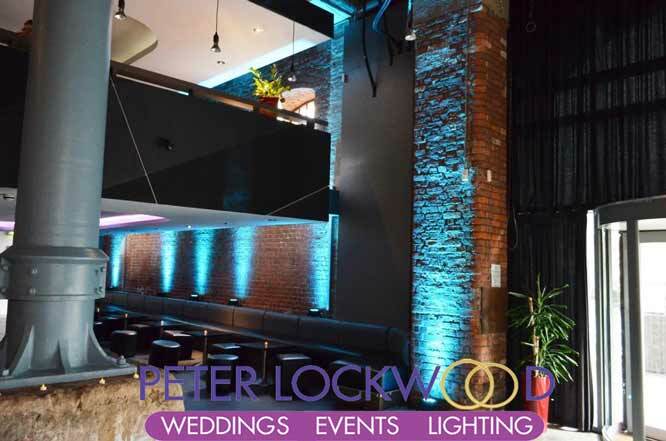 The top two pictures above show the bistro with Purple Wedding Lighting and Pillar Dressing, the bottom two are showing the bar and upper seating area with purple wedding lighting. 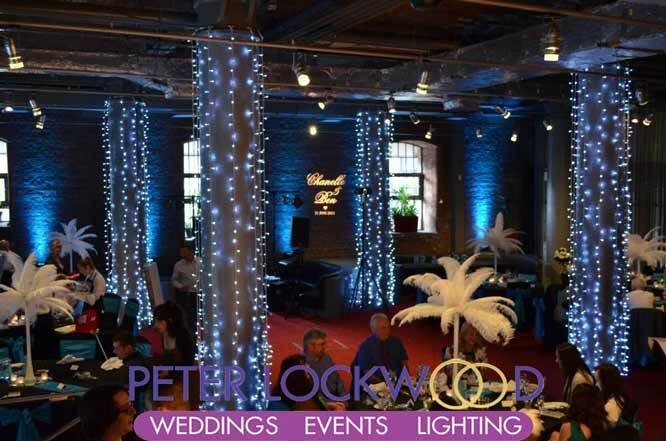 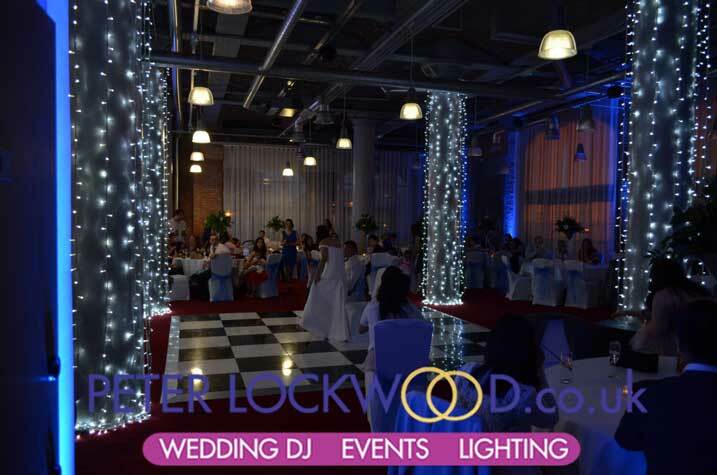 Blue wedding mood lighting was picked by the client along with pillar lights and a wedding monogram for there wedding in the bistro at the place hotel. 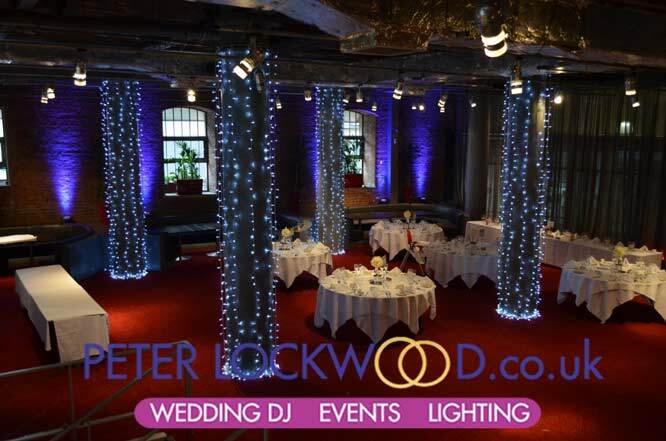 You truly are a magician of lighting!!! 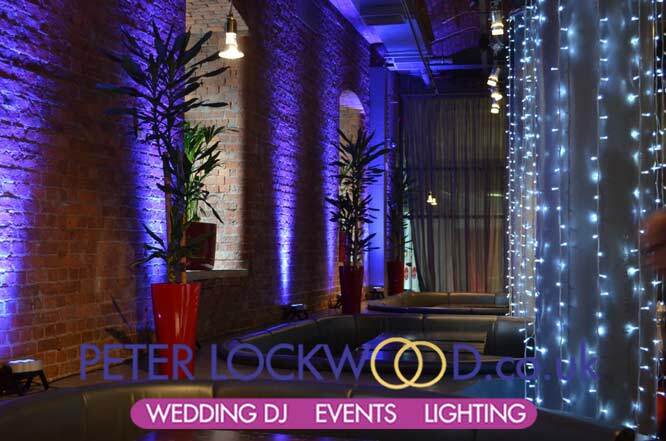 Pennine suite with my bright white pillar lighting is shown in the 2 pictures above. 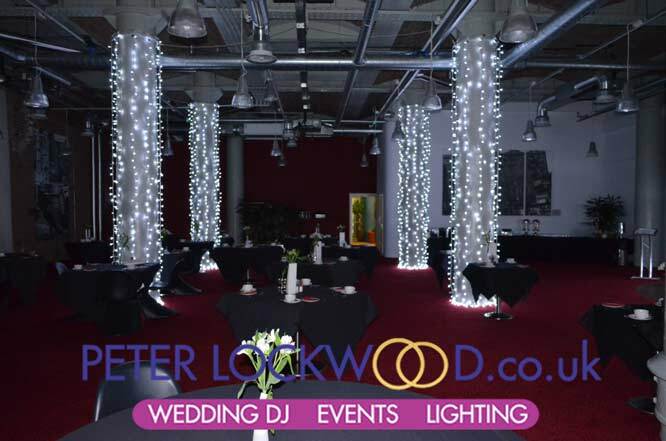 I only use bright white leds on white rubber cable to drape around the pillars.